Only a select few can join the FBI. The most serious birders are Fanatic Birding Individuals. 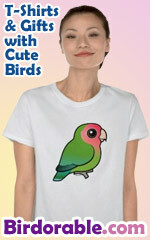 This humorous unique design makes a great gift for bird lovers and birdwatchers of all levels.